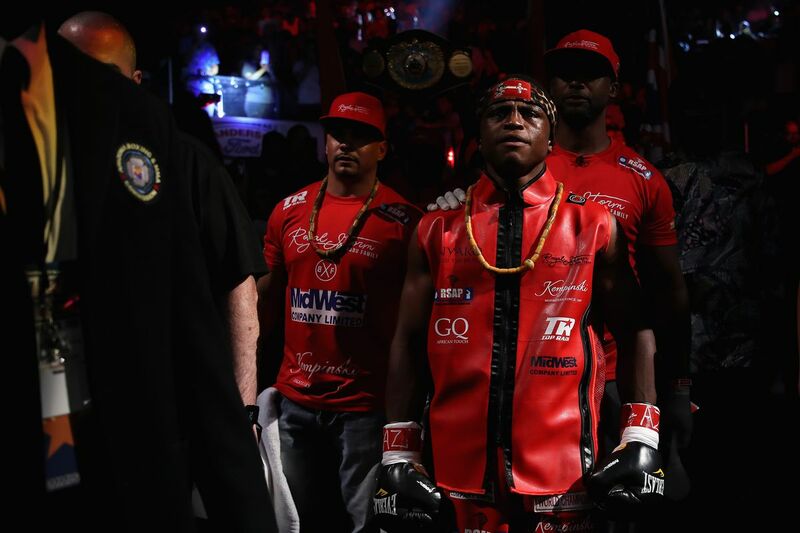 WBO super bantamweight titleholder Isaac Dogboe, one of the most intriguing rising stars in boxing this year, has signed a new, “long-term” deal with Top Rank, which is said to be a multiyear agreement for a minimum of three fights per year, as his team looks to keep him very busy. I am delighted to announce that I have extended my co-promotional agreement on a long-term deal with @trboxing. RSAP & I look forward to welcoming @BobArum & the Top Rank team in our beautiful country, Ghana next year! Dogboe, 24, has a record of 20-0 (14 KO) and has exploded onto the American scene this year in a pair of fights televised by ESPN outlets. “Royal Storm” won the interim WBO title against Cesar Juarez in January, then came over to face full WBO titleholder Jessie Magdaleno on April 28, getting off the canvas in the first round to stop Magdaleno in the 11th. In August, he trucked veteran challenger Hidenori Otake, stopping the Japanese fighter in just 2:18. Dogboe is currently slated to return in December on the Lomachenko-Pedraza card, and his team are reviewing potential opponents as of this time.